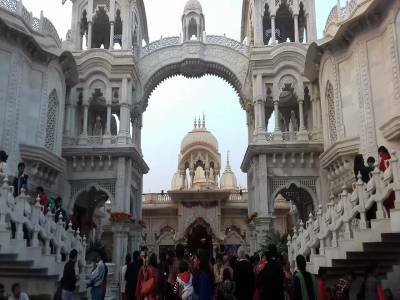 The ISKCON Temple Vrindavan is one of the grandest temple of this special fraternity located at the heart of the city of Vrindavan in the Mathura District of Uttar Pradesh in India. The ISKCON Temple Vrindavan is one of the main attractions of the city and people from all over the world come in great numbers here every day. The situation becomes a bit chaotic during festive seasons; still the temple complex is one of the best tourism destinations and a center of pilgrimage for anyone and everyone. ISKCON is a fraternity that spreads the Vedic knowledge of Bhagawat Gita among the people to make the society a better place. The International Society for Krishna Consciousness or ISKCON is an initiative that could not have a better place to set up its cradle other than in the realm of Lord Sri Krishna, the Vrindavan. The fraternity was conceived by a certain enlightened person named Bhaktivedanta Swami Prabhupada in the year 1966. From that time onwards the ISKCON found its spread all over the globe. It has many temples all over but the ISKCON Temple Vrindavan is by far one of the best. The huge temple complex decorated with building, gardens, pathways, fields, lakes, fountains, amenities and the great spired temple is just awesome. 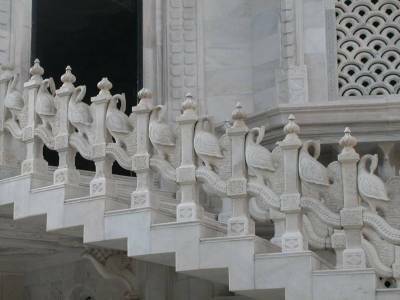 The white and pristine marble made huge central temple has two sanctums one having Sri Krishna & Sri Balaram while the other houses the Bhakti saint Sri Chaitanya and his mates. The people visit the ISKCON Temple Vrindavan for prayer, meditation and for spending quality time. The white marbles and the number of multicolored sacred pictures and statues give the place a unique atmosphere. 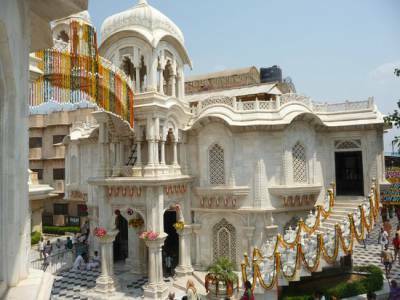 The ISKCON temple of Vrindavan is at walking distance to the Prem Mandir. 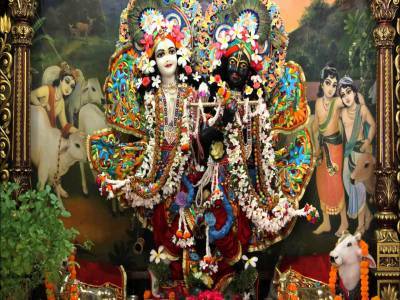 Get quick answers from travelers who visit to ISKCON Temple, Vrindavan.